-GLONASS GPS receiver (Russians) plus US satellites…better all-around pick-up of satellite and less likely to drop. No influence on accuracy. Need to turn on this feature (will deplete battery life a bit when on). Nice when traveling. When turned on, locks into location much faster. Forerunner 630 = everything above, but provides even more technical stats. 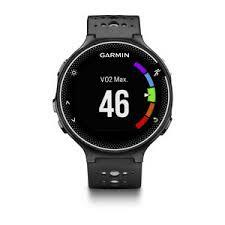 -Physiological measurements and when paired with HRM-Run gives vertical oscillation, ground contact time/balance, cadence, stride length, and vertical ratio. For that customer that wants to dive deeper into their runs and how they want them to be.